Back in 1988, Stephen Covey wrote his best-selling book, The Seven Habits of Highly Successful People which was a global phenomenon in the self-help genre selling over 25 million copies. Covey’s introspective advice struck a nerve with people who wanted to master success in their personal and business lives. The lessons he laid out were based on habits but rooted in personal values that align with time tested success principals: the habits you keep, aligned with actions you take, determine your results. They Have Grit. Possibly one of the best determining factors of success is whether a person has “grit” to stay with something for the long term. Grit, in these terms, is the ability to persist over time through difficult challenges. Too often, we are all guilty of giving up because something is hard and we don’t see results quickly. Sales is a long term commitment – it’s the difference between being a valued, effective advisor or an impatient nuisance to your customers. Earning business takes longer now than it used to as our customers have more options, more access to DIY options, and the ability to do their own due diligence with anonymity. Often sellers have a “crisis of confidence” and give up on their efforts but what they are truly experiencing is a lack of persistence and loss of patience. If you recognize the need to become grittier, I highly recommend reading Angela Duckworth’s book, Grit: the Power of Passion and Perseverance. They are Trustworthy and Dependable. Part of building and fostering trust with others is based on an assumption that you are who you say you are, you mean what you say, and you will do what you promise. This is what I call my “Internal Operating System” – my own iOS – that guides my actions. I’ve created a list of non-negotiable values that I operate by and many of them revolve around keeping my commitments and being dependable. These are highly valued characteristics held by many and things like not following up, failing to respond, showing up late, forgetting to deliver, missing deadlines . . . all irk and irritate people who deeply prioritize trust and dependability. Phenomenal sales people create processes and use tools or resources to make sure they keep their word and deliver what they promise – keeping, no, protecting trust and credibility with their customers. They Are Self Reflective. We’ve all met people who are the antithesis of self-reflective. Completely oblivious to how their actions impact others: stubborn, unyielding, and unwilling to account for their actions. Self Reflection is the ability to exercise introspection and examine not only one’s behavior but the stimulus and driving force behind our actions. This is incredibly important when your performance dictates your success. Once you can recognize and acknowledge things such as fear, hesitation, discomfort, or behaviors such as deflection, interruption, arrogance, you can choose to DO something to improve your actions or responses. Making calls, facing rejection, negotiating price . . . so many things you do in a day of sales depend on how you handle yourself. The ability to assess your own behaviors means you can determine different outcomes. They are Focused and Disciplined. Top performers mean business: they stick to their tasks, aren’t derailed by shiny objects, distracted by checking Facebook, or sidetracked by someone else’s success. Focused sellers clearly understand their customers – their ideal buyers, and pre-qualify harder so their time and energy are channeled in the most effective way. Top sales performers, like many doctors, pilots, and executives, are also disciplined both in their personal and business lives. Look at who runs marathons or triathlons and you’ll see a theme of people who are incredibly driven and successful in their business lives too. Organization, cadence, schedule, and productivity are used to determine and execute priorities. Often in sales, we’re pulled in dozens of directions and get off track by being reactive to whatever is on fire – be it an opportunity or a problem. We confuse urgent for important and continue to live in a habitual responsive state of dealing with what happens instead of determining what happens. They Genuinely Care and are Interested in People. We build businesses and take jobs based on our personal interests and goals. Selling something to someone, however, is getting harder to do if you cannot demonstrate that you truly care about your customers’ best interest. 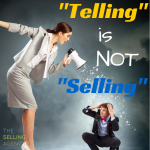 The profession of “Sales” has left plenty a bad taste in consumers’ mouths because we’ve all felt like victims of slimy, self-interested shysters. We have too many options now to avoid crappy sales people. The best sellers I know truly and honestly CARE about their customers. Not just as buyers, but as humans sharing our time here on planet earth. 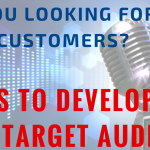 When we interview sales pros on The SellOut Show who are rising stars in their organizations, their passion for their customers is their top priority. They take that passion and marry it to their product, not vice versa. Find a way to show your customers you are truly interested in them and demonstrate that you care about your relationship – make it clear in what you say, what you do, and how you sell to them. They Seek and Internalize Feedback. Much like being self-reflective and motivated, top sellers I’ve observed seek out feedback from peers, customers, mentors, and/or coaches. We can only see things through our own lens – which is clouded by our own experiences and filters so it’s imperative to obtain a different perspective on our performance. 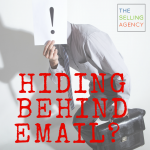 My colleague and co-host, Dianna Geairn is one of the hardest core sales pros I’ve ever met. Part of her success is seeking out feedback from customers and mentors so she can make adjustments and improve her results. Listening to constructive criticism can be hard and implementing those changes can be even harder. If you don’t have a manager or coach to help you, you can still seek out feedback from customers or ask a top performer you know to listen in on a phone call, go to a meeting with you, and see what they have to say. Tap into others to help you improve. They are Positive. Your mindset can make or break your success. Period. Show me someone who “thinks they can’t” and I’ll show you someone who is right. Successful people believe in their power to be effective and in their own abilities to make things happen. Positive thinking isn’t a “Sunshine and Rainbows” philosophy that everything will be work itself out, but a powerful belief system that helps overcome mental barriers and move you to action. Positive beliefs are how you interpret your experiences: believing that bad things can be learned from, setbacks can be overcome, big challenges can be conquered. 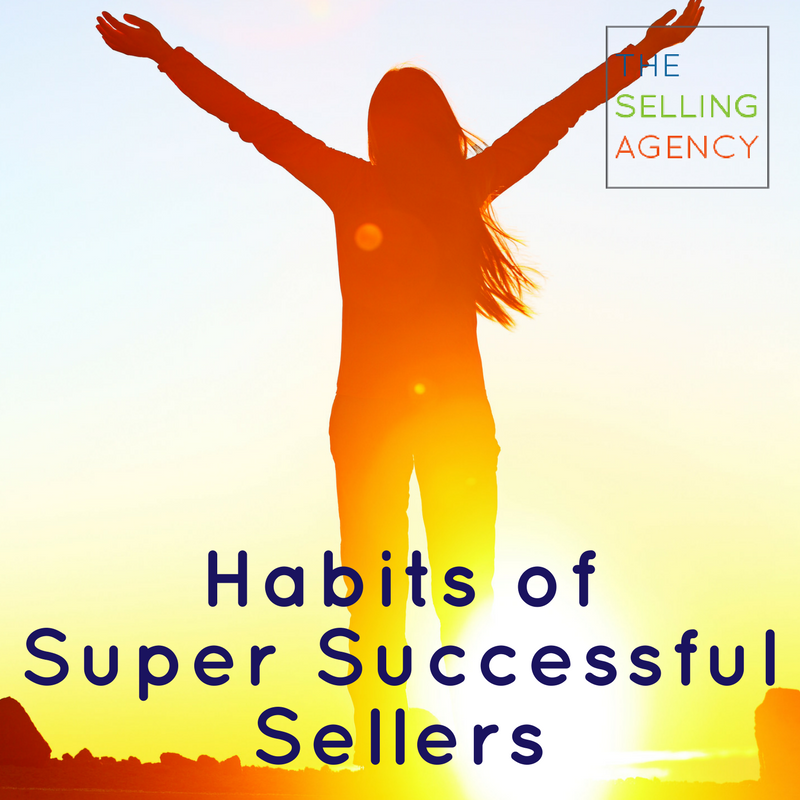 All of these habits, especially positive beliefs, help sellers and top performers overcome mental barriers and tap into reserves to complete tasks, finish projects, or achieve goals. Positivity shapes your will and grit that carries you through tough times. Take an example from a story about a Navy Seal who lives by the “40% Rule.” When his mind says “We’ve hit the wall”, his will says, “We have to finish.” He has tested his limits and found that when his mind says he has had enough, he still has about 60% more effort to give. Believing he can and will finish helps him tap into the reserve tank after his mind told him to quit. Your positive beliefs shape how you view your experiences and determine your response and how you own your relationship with the world around you. These are the top habits I’ve observed in successful sellers – in Business Owners, Executives, and Sales Pros. It’s not an exhaustive list, but a great place to start examining your own actions and outcomes. Your success depends on how you align your personal values with the actions you take. What habits are driving your results? Tell us about them in the comments below – we may share them on an upcoming episode of The SellOut Show (*cough* Subscribe)! Until next time, stop hoping, start SELLING! Straightforward, practical and perhaps slightly cheeky, Shawn Karol Sandy's innate gift is helping people find new ways to solve old problems, unique ways to approach new problems and helping businesses re-invent themselves and their sales strategies. With Bold and Brave thought leadership and Clear Action Plans, her impact on business is Measurable and Meaningful and will lead your sales revolution to growth and revenue goals. Thank you for the concise review of basic laws that govern selling by relationship. Thanks for commenting, Kevin! Have a fantastic sales day!